They usually release upgrades in beta versions so there might be some technical difficulties but Unifi should release it with proper features within the network management controller. The cloud access can be a little bothersome to work with. Additional functionalities are required for this part of Unifi. Unifi is a great software tool. You should try using it if you are working with a lot of network data and network nodes. Will really help you a lot. We mostly use it for network management. We also use it for observing and mapping all network nodes so that we can keep track of all incoming and outgoing data. 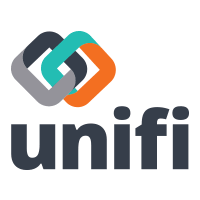 "Great BIM content management tool for company-wide assets"
Unifi is a really useful tool that our company has started using as a centralized database for all of our custom and downloaded BIM content to be shared internally. This is really helpful as it prevents redundant downloading and importing of assets and saves more time for designing. I don't have any particular issues, though it would be useful if there was a similar library for non-Revit content. A library like Unifi would be great for using with other software packages to better store, tag and organize shared assets. Would highly suggest the use of Unify to teams looking to standardize their firmwide assets- it is a great way to make sure everyone is using the correct details, systems, etc. I don't know that there is a better solution out there right now for BIM data management . I can't comment on the price as this info isn't made available to users. It's a big time-saver, instead of having to search for specialized details or build systems from scratch, it's really easy to search for previously used families and not have to waste time better spent drawing or designing. * We monitor all Unifi reviews to prevent fraudulent reviews and keep review quality high. We do not post reviews by company employees or direct competitors. Validated reviews require the user to submit a screenshot of the product containing their user ID, in order to verify a user is an actual user of the product. Hi there! Are you looking to implement a solution like Unifi?